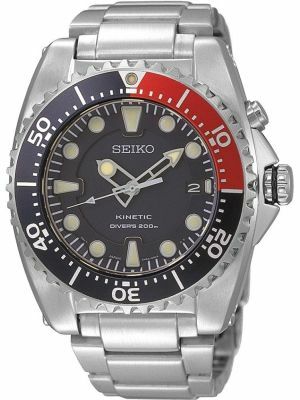 This is one of Seiko's more well known versions of a self generated power watch. 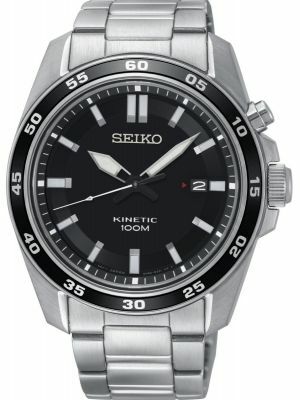 Men's Kinetic watches harness the kinetic energy of the wearer's movement and stores it in the form of electrical power. The watch mechanism is similar at first glance to a mechanical automatic watch, but in reality the storage of power is completely different. 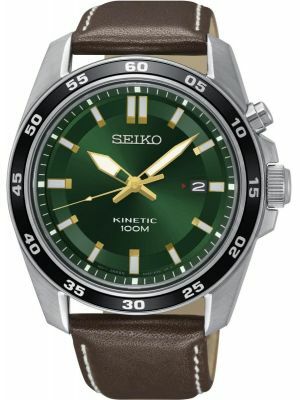 These kinetic watches for men are very convenient as they never need a battery in the conventional sense, and yet maintains quartz accuracy timing. 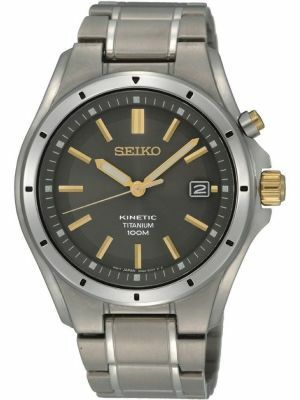 Kinetic watches are considered environmentally friendly along with solar power watches. Both forms offer lower maintenance than battery powered watches, but with generally accurate timing. 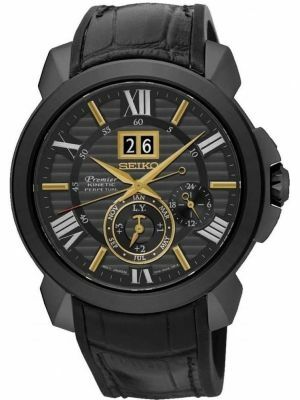 All our Kinetic watches are free UK delivery.